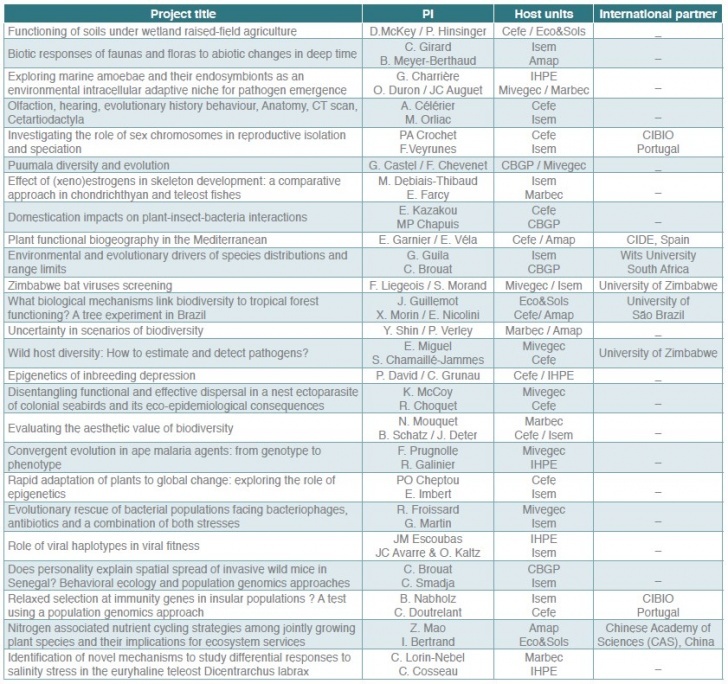 Cemeb sustains exploratory research projects based on newly established collaborations between Cemeb research units (2017 & 2018; 25 K€/project; 25 projects) that will serve as foundations for more ambitious projects (e.g., ANR or ERC) covering a wide range of themes with e.g. seven including genomics and epigenomics (Table PR3). Publications will come later. At least two projects gave rise to ANR projects in 2018.